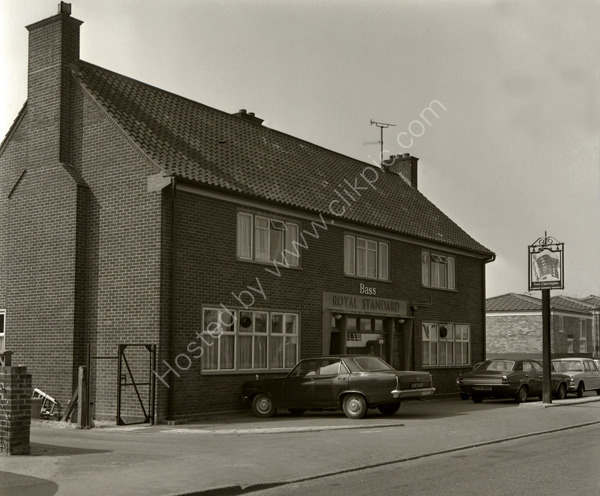 The Royal Standard public house at Larkhill Road, Yeovil, Somerset BA21 3HW around 1974. The Vauxhall is HXE 258D while the Cortina is RPR 585K. For commercial use of this photograph please visit www.alamy.com and search for A97MH9 but for a one off print, please see below.